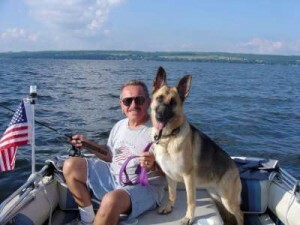 You’ve always been a great friend to Southtowns Dog Training Club, of which I was president for almost 5 years. I always looked forward to your presentations. Always informative and very interactive. You’ve been MOST helpful and I thank you. Keep up the good work! I got to attend your seminar at SDTC last year and I learned a lot. You have a great, BALANCED approach to pet nutrition and pet health. You also gave really helpful and practical tips on keeping our pets healthy. I like your motto, “just do your best.” Not too far left or right. Pet parents need sound information to make good decisions and you delivered. Thanks again. Kelly did a very interesting and informative workshop for our club (Southtowns Dog Training Club,) about canine nutrition. We learned all about the different ways to feed our dogs; feeding raw food, and why each kind of feeding is a healthy choice for our dogs. Kelly is very well versed in all aspects of canine and feline nutrition and has a very extensive background in many aspects of pet health. Her workshop was very well received by our members, who felt they went away with a lot of new information that they could use to improve their dog’s diet and health. We all left Kelly’s workshop wishing she could come back and share more of her knowledge…feeding dogs properly has such a big impact on their health, and Kelly really knows her stuff! I did learn a lot and it was so nice to meet new people too! I hope to see you all again. It doesn’t matter how much you know about diet and holistic alternatives, Kelly will always teach you something new and useful. Kelly has a great way with people and her delivery kept me interested. 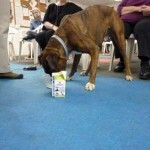 I also loved the Boxer who kept sampling the products! Bentley Wisher… A Very Happy Dog! Thanks, Kelly. I enjoyed the presentation (and you know Bentley did, too !) I really enjoyed the pictures. I’m giving serious thoughts to adding some probiotics or goats milk to our kibble diet. I think our members could have kept you there for another hour at least! There was a lot of interest. Great class. Really learned a lot. I’m looking forward to all the new business that will be opening! And, I was even able to save money on my Mac and Apps by signing up for your class! Thanks again for all your help and wisdom. This class met all of my expectations. The instructor really made everyone feel comfortable and had great interaction with everyone. I liked all of her real experiences and the other business owner too…made it more relatable. Kelly was the best thing about this class. Appreciated her personal experience as it relates to a business operation. I would recommend this class to anyone thinking about opening a business. Chocolates were good too! The material in this class was very informative and the discussion was comfortable, open and enjoyable. Learned a lot and loved the good atmosphere…small and personal with 11 people! I enjoyed this class because it was very open to discussion and I was comfortable participating. It was lead with an open mind. Very objective and reasonable. I really liked the lengthy discussion on the elements of a business plan and the types of businesses. I’d love to see even more information on wholesalers, tax ID’s and business facts. Loved the close interaction with the instructor and other classmates. Really enjoyed all of the instructors real life business experience and stories. Kelly has been a very important part of our family for several years. She was always there with a smile when we needed any pet supplies, but she became so valuable to us when our pets got sick and needed specific diets. We’ve had dogs and cats that have gone through many illnesses including cancer, auto-immune diseases, thyroid disease, skin issues and intestinal diseases. Throughout all these tough times, Kelly was always there helping us find the perfect diet that would support them during their battles. She was always willing to go the extra mile and research or order whatever we needed. This went beyond just food. She helped us find supplements, herbs, vitamins… and even alternative treatments to get our pets through their illnesses. We used both conventional and alternative medicine to treat our pets, something we talked with Kelly about often. She is incredibly supportive emotionally, as well knowing how difficult it is to make decisions about our pets when we are never guaranteed an outcome. 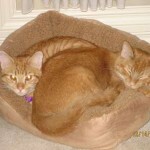 My pets all out-lived their original diagnosis, and although it was not long enough, they all lived quality lives. I know Kelly was a big part of that and she will always be considered a part of our family. All of my greyhounds, thanks to you, are doing well. They remain on Taste of the Wild, are totally weaned off of the prescription food and the Tylan powder. I am also continuing to give them the Holistic Solutions probiotics. They are doing extremely good!!! Thanks for EVERYTHING! Thank you for all of your help over the past five years. I was so clueless when we brought our rock-star Labradoodle, Marshall, home! I thank you for all of your knowledge that you willingly shared. You were more than just a storeowner. You were a friend to all our pets and their families. The help and advice you gave was invaluable. Your caring and compassion came from your heart. I have one very difficult dog and Kelly has always been my go to person. She has always led me in the right direction and has gone the extra mile to further research things for me. Over the years, I have seen Kelly go many times way above and beyond to help customers. Not only can you find the best products, but also Kelly is very knowledgeable and can actually provide the guidance and information needed to do the best by your furry family members. Thank you for all you have done and are still doing. You are an amazing person. Myself, my husband, Sadie and Mocha will truly miss seeing you and Gus at the Animal Kingdom. 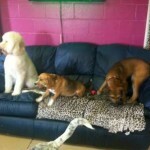 You made us feel welcome and we always looked forward to sharing your knowledge of pets. The feeling of love and welcomeness was always abundantly clear as soon as I stepped into your store. For that, I will always remember you (and Gus). We will sadly miss you as you saw us through some pretty difficult times with our Springers. Lots of love to you and Gus! Several years ago we met Kelly after bringing our new German Shepard puppy, Cassie, in for a visit at the Animal Kingdom following her first visit to the veterinarian. Kelly spoke to us openly about the dietary needs of our GSD and probable issues with the breed that we could proactively address through a grain free diet, vitamins, appropriate immunizations, probiotics and other alternative approaches to insure a long healthy life for our new dog. 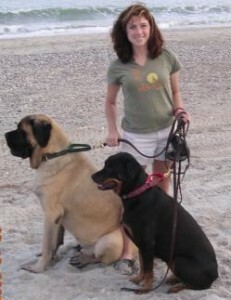 Kelly is well versed on the needs of high energy, large breed dogs such as German Shepherds and we took great comfort in her willingness to share all she knew with us. Her suggestions and recommendations have proved invaluable over the years as we have together met a variety of health challenges with Cassie such as IBS and colitis. Kelly is an easy person to talk to, she is knowledgeable about reliable resources and service providers in our community such as holistic healers, dog behaviorists, doggy daycare and proven products that truly work…She guides her customers along these processes of decision making and gives options that a pet owner feels comfortable with. She is a natural advocate for animals and you sense immediately that you can trust her suggestions! Whenever a new issue arises we turn to Kelly along with our vet’s input to meet the needs of our pet. We cannot begin to measure the impact her expertise has had on our pet’s life and in turn our lives. Kelly, I will miss you so much. Thank you for all of your wonderful help over the years. Kelly has always gone out of her way to be helpful to me and my two dogs. She takes the time to discuss the dog’s issues with me and then helps with the product searches that may be helpful. She knows her stuff and has a genuine love for animals. I am a loyal customer and will continue to drive 6.5 miles to her store than bother with a chain store that is much closer. I have been shopping at the Animal Kingdom for my dogs’ food, treats, and anything I need for them. I made the switch from regular food to a raw diet with the complete help of Kelly, she took the extra time to give me brochures, samples, and to explain all of the benefits and after months of my dogs being on this diet they are thriving. Their coats are shiny and soft and before they were losing patches of hair on other pet food. I came to you first about 7 years ago when I had first moved to Buffalo. You were the only one near by to carry the best timothy pellets for my bunny. A year later we adopted Charlie our Lab/Great Dane mix. Best dog ever! With never ending stomach problems…You helped me so much with trial and error over the past 5 years with him…Good news, he has not gotten sick in over 6 months and is finally starting to put weight back on. With the 2nd dog we rescued, our Jack Russell, Lilly, we also went through our issues with her. Beginning with her skin, her teeth, her temperament, and after over coming all of that with the help of your herbal remedies, you were there to share with me, and comfort me when she had gotten hit by a car…Good news, a month after being paralyzed, and having neurological damage…she is running around, terrorizing Charlie once again, and being the #1 dog in the house again…She got a 2nd chance in life purely by a miracle the way I see it. We have a full house, but a complete house, and we owe so much to you! Thank you so much! Since you have so many customers, I’m not sure if you remember that you helped me get my dog on a dog food that he could digest after I had tried so many different dog foods. I was so thankful for that because he felt so much better once he was eating something that worked with his system. I appreciate all you have done for all of us pet owners. Thanks for all your advice. 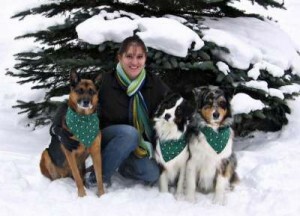 Kelly is incredibly knowledgeable about a vast number of animal and health-related issues. Going into Animal Kingdom to buy our doggie companions their food and treats didn’t feel like an errand. I looked forward to going in and chatting with Kelly. She has an incredible way with animals and it shows. It’s difficult to find that level of customer service these days. Kelly, when I came to you with my little 8-week old kitten, Zoe, who was having constant digestive issues, what you told me made sense. I was so afraid that if I kept her on vet meds she would always need them. You gave me the courage, guidance, and logic that helped get her over the hump! Her diet and her skittish little tummy improved – she now eats like a normal kitty and is not on meds for IBS! – I am so thankful! Not only were the meds expensive- but she hated them. Zoe is a healthy 2-year old with your diet advice! I watch carefully what goes into her bowl. Thank you again! We will miss you! No other pet related store came close to yours in offering such great information, ambiance, or just plain welcoming atmosphere. Plus we could always trust the food and products we purchased at your store. Thank you for all the times you gave me advice on taking care of my 3 dogs, and thank you for all you did and will continue to do for pets and their people. We are truly grateful to YOU for all the guidance you have given to us for THE dogs (three mini schnauzers and malti poo). It was always a treat to see you and Gus at the store after a visit with our vet. Your genuine concern and knowledge was a tremendous asset, all the way back to the store in Hamburg. 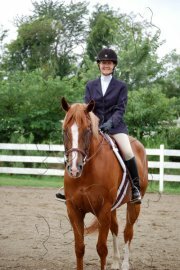 You have helped me so much with “Prince Charming” and I never could thank you enough because he would still have a messed up digestive track without all of your help. Thank you. Without your guidance and expertise, we never would’ve made the changes to our cat Samanthas diet and also added herbs and supplements that eventually reversed her diabetes. I have told many of my cat (and dog) friends about you and your store and I will be forever grateful to you for saving Sams life. She is now 13 years young and going strong. THANK YOU. Haley girl and I always enjoyed visiting you and Gus. You did so kindly help me with Haley’s skin issues and allergies…and we did resolve some of her problems. Thank you. Thank you so much for all the help you’ve given me over the years, especially during my dogs’ last illnesses. Your advice was always helpful, but your compassion and obvious concern eased my heart when I was worried. You have such a big heart. I look forward to seeing you again. I was at my wits end when our 18-year old cat, Fiona, stopped eating. We tried so many dry foods and many different cans and she just wasn’t interested. A good friend told us to talk to you because you were so knowledgeable and have cats too. You told us to try the raw goats milk and it worked! We had six more good months with Fiona and it’s all because of you. Thank you. Kelly, over the years you have helped me so much with feeding problems and I thank you! In November we moved to Kentucky and, as of yet, I haven’t been able to find a store with the quality of your Animal Kingdom. I now have to order NOW dog food online. Thanks again. I still remember my friend telling me…you have to talk to Kelly! You gave me the hope and determination to keep my 11-year old kitty, Lily, alive and well. You told us to rename “kidney failure” to “kidney disease” as it sounded more hopeful! You were right. With your recommendation, we changed all Lily’s food over to natural canned food (not KD! ), added supplements and herbs and gave her sub-Q’s when needed. If we would’ve listened to our vet, Lily would’ve been put to sleep and that was almost two years ago. Thank you for not giving up and for your deep caring of all of our pets. I will miss all of your knowledge. You helped me so much with Brady’s digestive issues. Thank you! Thank you for all of your knowledge and tidbits you always offered us when we came in the store with questions… You and Gus will truly be missed. THANKS! Never pushing her own views and opinions, Kelly always provided facts to people who had questions about a wide variety of pet-related issues, as well as strongly encouraged and empowered them to do their own research in order to make their own decisions. In determining a “course of action” for an issue, Kelly spoke at great length with customers to ensure they were comfortable and felt informed upon leaving the store. While working for Kelly, I knew that each day at The Animal Kingdom I would see her assist at least one person who came in, usually feeling at “the end of their rope” in a search to find a solution to their pet’s issue; Kelly was always sympathetic, understanding, and compassionate in these situations. She is knowledgeable on countless issues – including diet, supplementation, vaccination, ailments and diseases (especially kidney and liver issues, cancer, IBS, diabetes, and allergies), and natural protocols – and always shared anything she could to help customers help their pet(s). It was also very satisfying to see those same customers return, with an upbeat and thankful attitude, to tell us that their pet’s health was improving or their issue was completely resolved! Kelly is my “go-to” person for any question I have about my pets; and if she doesn’t know the answer (which isn’t very often! ), I know she will personally help and point me in the right direction to figure it out. For everything I have learned from Kelly and for her dedication to promoting a natural and healthy lifestyle for our pets, I am forever grateful. The Animal Kingdom is the only pet store where the owner would actually fit and train your dog on how to use the gentle leader! Kelly showed us first with Gus how to fit the collar. Then she fitted Maxwell and walked him around the parking lot, with treats in hand, to demonstrate how to use the collar correctly…Now that’s customer service! Thanks for all of your help over the years. You’re the best. After Harley was diagnosed with cancer, over six years ago, I got her off the grain food and changed her diet to the natural food from your store including canned food. I also added boiled chicken to her food. Harley got K-9 Immunity, a pet vitamin supplement and Prozyme from your store daily. I gave her these items for about a year without any meds from the vet. She was real good and would have some bad days, but the day before she passed she was running around outside, like a nut, playing with the hose. 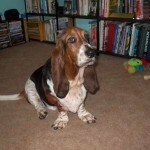 I do believe with your help, Harley had a great life without having to go through procedures at the vet. She lived a little over a year with the cancer with a healthy normal life. Can’t believe she has been gone almost five years already. When Annie was diagnosed with two severe luxating patellars, our vet told us she needed to lose at least seven pounds because being overweight would only make her condition worse. Annie was also a bit spoiled and very finicky with foods. So, you suggested we switch to raw diet because it would help her to lose weight and to keep lean muscle mass. You also suggested we add enzymes, probiotics and a joint supplement. Annie lost the seven pounds, over many months, and actually looks forward to eating. Thanks for all of your help. 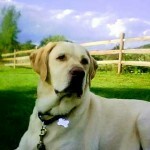 Kelly’s expertise on pet health and behavior have been invaluable. 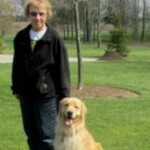 She has shared her knowledge regarding pet nutrition, overall pet wellness, and behavioral issues. I trust her unconditionally with recommendations for veterinarians, dog sitters, and doggie day care. Kelly is one of the most compassionate people I have ever met. Her customers became friends and she genuinely cared about them and their pets. She would listen and make suggestions but was never judgmental. If she did not know the answer, she would research and we would learn together. 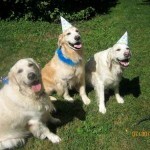 Kelly knew that each dog was unique and was not a one size fits all. Kelly has taught me the importance of varying my pet’s food. She taught me that their nutrition is the backbone to everything and is critical to their overall health and behavior. In addition she assisted me on choosing gentler and greener products for our pets as they have much more sensitive systems than we do. I see my dogs are healthy and happy. I would frequently ask Kelly’s opinion on everything from flea and tick prevention to supplements to vaccinations. She would always point me in the right direction. 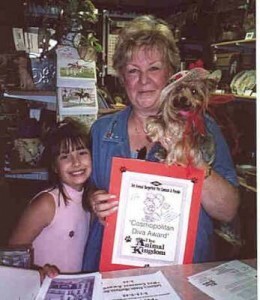 I was always so impressed that Kelly could work such long hours at her store but make time for less fortunate animals…Kelly also contributes to the community by donating resources and her precious time. My dogs and cats are my world and Kelly completely understands that. She is friendly, caring and knowledgeable without being condescending. Kelly has so much to offer and I will always look to her for advice and suggestions. Kelly, you gave me the courage to try raw food with my 5-pound Yorkshire Terrier, Sandail, even though my vet was against it. Once you educated me on the benefits of raw and how to handle it properly, I decided to try it. You also gave us probiotics for her food. Sandail used to be so finicky and never had a normal stool until I fed her the raw food…that was over six years ago. Thank you so much for providing me with good information so I could make the switch. The foods recommended by you have kept our dogs alive, active and healthy well beyond their normal years. We finally had to put one Newfoundland down a couple of weeks before he turned 13 years old. The HipAction treats kept him moving and the same goes for our, near eleven year old Newfoundland that we still have. The fish oil for her food seems to help her itchy skin. Your recommendations have always been successful. Thanks. I first met you five years ago after my vet recommended I talk to you about food for my dog’s liver issues. You were so nice and really seemed to know a lot about the foods. I bought the low fat can and dry foods and enzyme powder that you suggested and my little Henry lived two more years…just shy of 14. Your genuine concern and caring were obvious and very much appreciated. 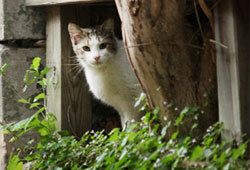 This will sound so crazy, but you helped us fix our cats very smelly poop! We have three cats and they could literally clear a room with their stink. If only we would have known sooner that changing their diet would fix the problem. And your funny comment about having a “poopy party” now that everything is better was great. Thanks for your help and clearing the air! Kelly, Congratulations on your website. We are looking forward to reading your informative literature. We miss you at the store and thanks again for all your help with our dogs, especially during our tough time with the illnesses. Can I simply say what a relief to uncover a person that truly knows what they’re discussing on the internet. You certainly understand how to bring a problem to light and make it important. More and more people need to check this out and understand this side of the story. I was surprised you’re not more popular since you most certainly possess the gift. So excited about this website. Kelly at “The Animal Kingdom” has always been my “go to”. She is well versed in foods, supplements, and anything pet related. If she did not know the answer, she would research. She never told you what to do but made logical suggestions even if it was a hard decision that had to be made. I am sad to see Kelly go from The Animal Kingdom but look forward to seeing what life presents her with The Pets Perspective. Our pets will now have a voice out there. I almost believe that she is The Pet Whisperer?….Kelly, keep doing whatever you are doing. It not only makes our pets happy but Moms and Dads too! Thanks for your support and so glad you can join us. Please feel free to post any topics of interest for further discussion on our Welcome Page. Thanks BLUE SEAL Pet Food! The Sun News 2/21/13…Volunteering…a Rewarding Experience! Gus Re-Unites with Foster Family! The Sun News 1/17/13…Animal Lovers! Pet Hair Remover (Furniture)…Love this! Cat’s Joint Stiffness & Cosequin? Friskies Canned Food vs. Dry Kibble… HELP! Misdiagnosis…Listen to Your Gut Instincts!